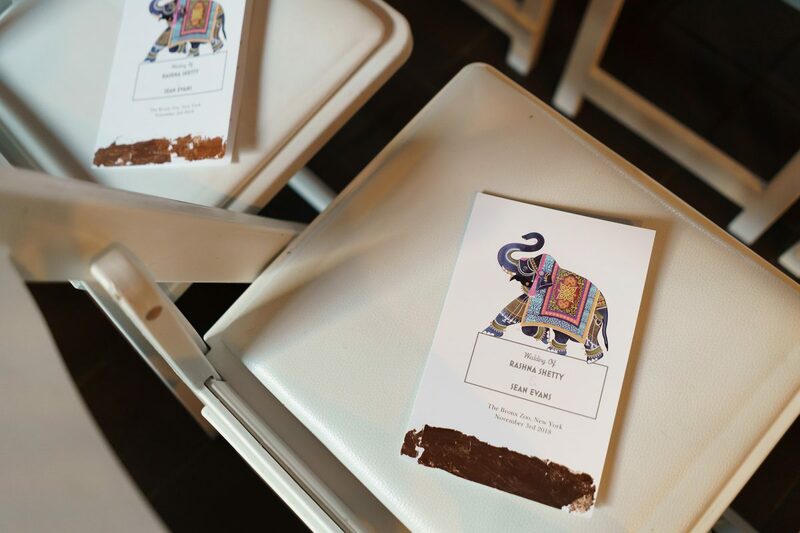 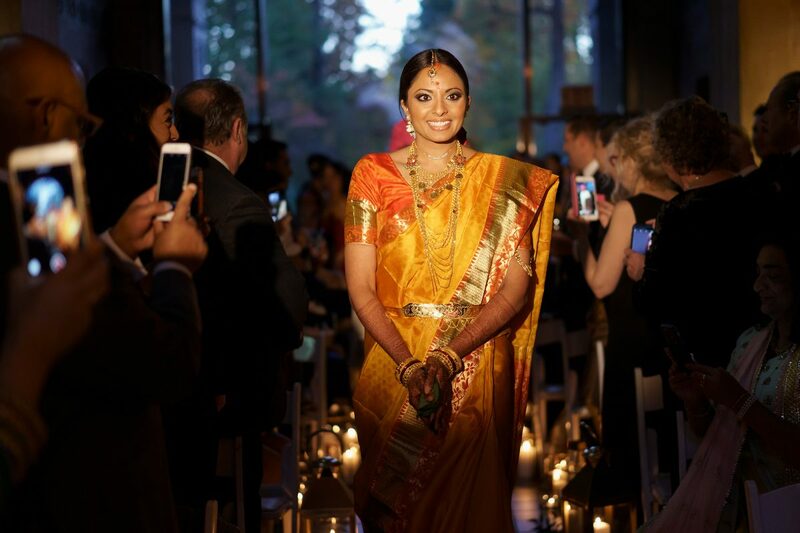 The bride chose décor that brought warmth and intimacy to the cavernous interior. 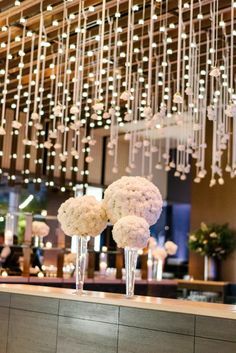 The aisle was lined with gold lanterns containing ivory pillar candles and greenery. 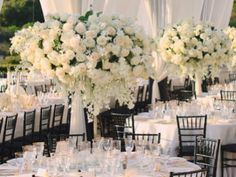 “I knew I wanted my mandap to be covered in white florals,” she says. 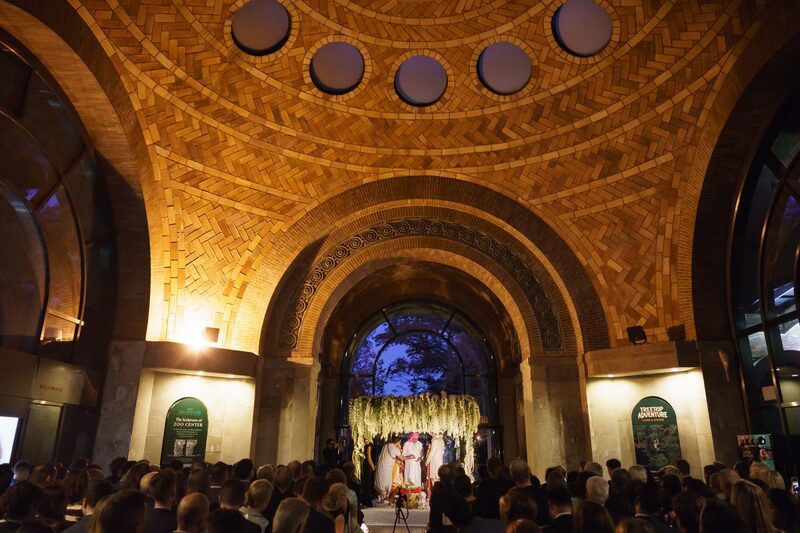 Constructed of woven wisteria branches, the four-pillar structure featured lush greenery embellished with cascading white delphinium and stock. 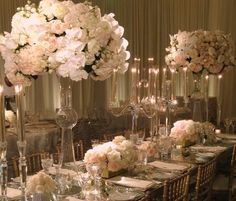 Gold lanterns at the base highlighted the gorgeous blooms, adding a sense of enchanted romance to the setting. 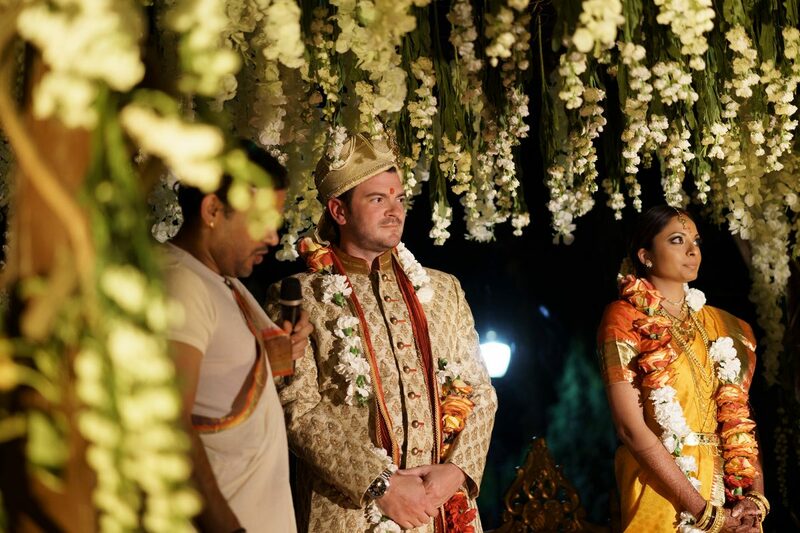 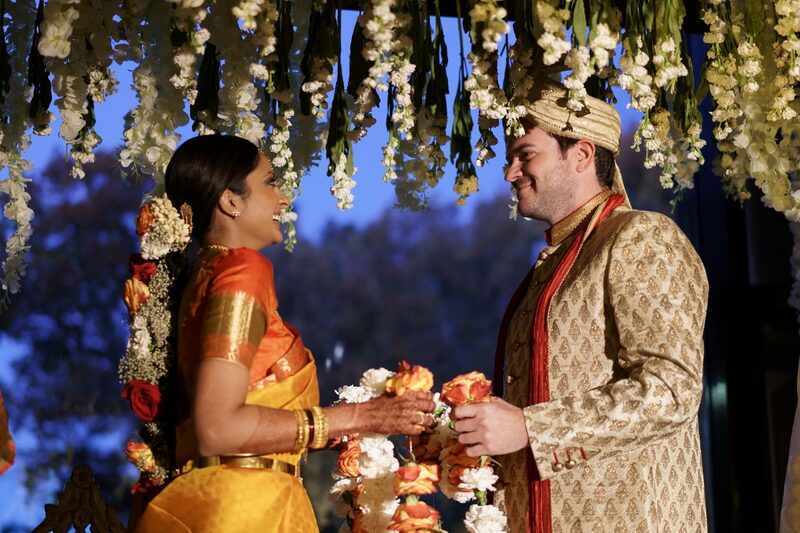 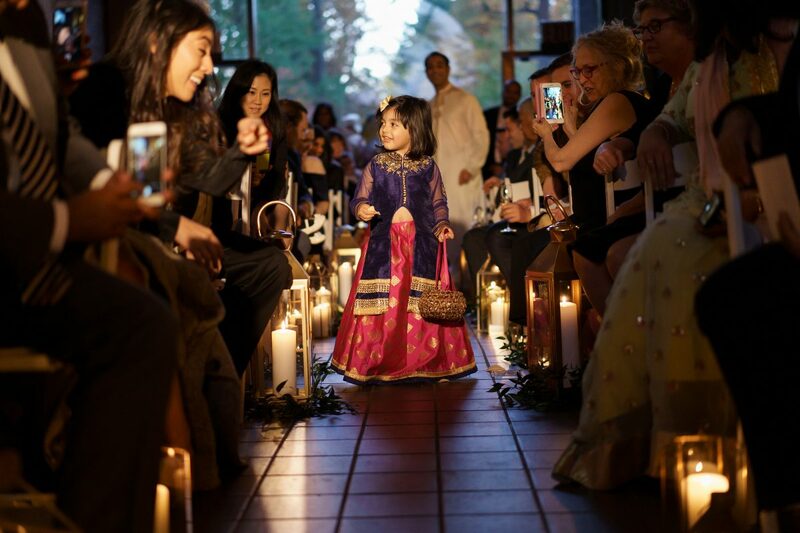 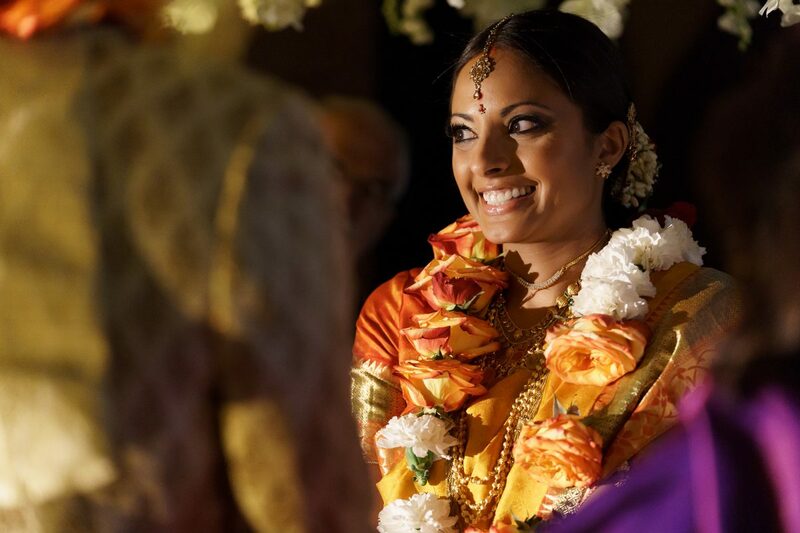 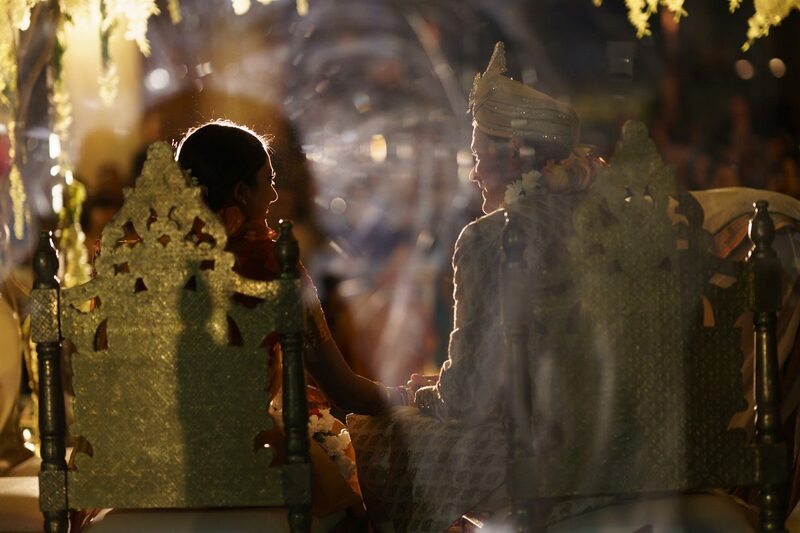 Stay tuned for next week when Rashna shares the final chapter in her Real BB Wedding Story.